A benefit for the restoration of the Historic Jayhawk Theatre. 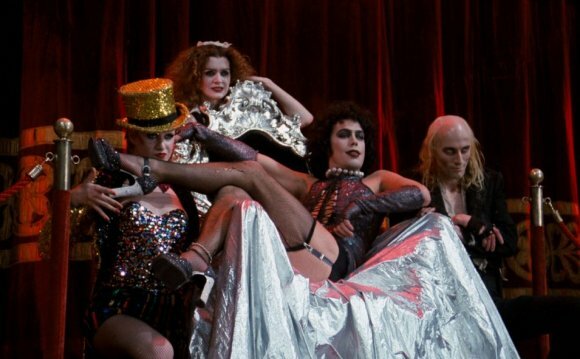 We will screen the Rocky Horror Picture Show in our bare bones theatre space. We supply all the props. You supply the sonic transducer and the charming underclothes. Seating is limited to 150 so be sure to get your tickets early. Sorry, you missed Rocky Horror Picture Show a... at Jayhawk Theatre. Demand that Jayhawk Theatre gets added to the next tour! Demand that Topeka gets added to the next tour! You missed Rocky Horror Picture Show a... at Jayhawk Theatre. We're generating custom event recommendations for you based on Rocky Horror Picture Show a... right now!